Come dance your way to fitness this Chinese New Year festive season! 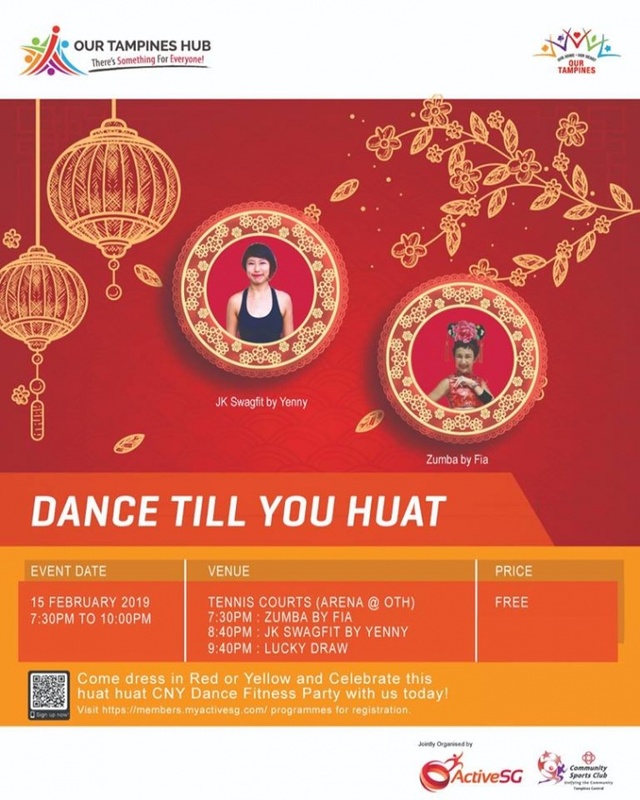 In partnership with ActiveSG and Community Sports Club, Our Tampines Hub brings you CNY Dance Fitness Party at Tennis Courts (Arena @ OTH). Come dress in Red or Yellow to celebrate this huat huat CNY Dance Fitness Party with us and stand a chance to be a lucky draw winner!